Given the tremendous career opportunities that a foundation in computer science can provide, it makes sense that we do what we can to improve access to high-quality computer science learning experiences for all students. Computer science (CS) is not about understanding how to use a word processor or create a spreadsheet. CS is about gaining computational thinking skills and is a critical skill set that all students should have in the 21st century workforce—and states, districts, schools, educators, and their partners are doing their part to expand opportunities to computer science for all. Career and Technical Education (CTE), funded by the Carl D. Perkins CTE Improvement Act of 2006 (Perkins), is an effective approach for increasing access to rigorous computer science coursework as well as for integrating computer science into existing programs of study. Many states are working creatively and innovatively to utilize CTE pathways and Perkins funds to increase access to and completion of computer science courses. From using funds to increase interest in middle school and supporting educator preparation, to dual-coding of courses and increasing access to equipment, states are working hard to maximize the use of Perkins funds to help prepare more students in their states for career opportunities. Here are some considerations to keep in mind to help increase access to high-quality CS for All. Dual-coding of Courses – Computer science courses are being offered in both CTE and non-CTE academic programs with course codes that inhibit courses from being used in multiple programs. Some states have found it helpful to dual-code these courses to strengthen their offerings, eliminate duplication of efforts and reduce the funds needed to implement computer science programs in a high school. For example, in Florida , computer science standards were jointly written to make sure that the standards met both academic and CTE expectations. Dual-certification of Teachers – Having a well-prepared, well-supported educator workforce is critical to expanding access to computer science courses. Again, to prevent duplication of effort, states have found it helpful to ensure that computer science educators in high schools are able to teach computer science as part of either a CTE or academic program. These options increase the number of educators available to teach computer science while providing flexibility for how computer science is taught in both CTE and academic pathways. Professional Development for Teachers – Perkins funds can be used to provide professional development for CTE educators to ensure they have the tools and resources they need to teach computer science. Because computer science educator preparation requires high-quality, intensive professional development for existing educators, states are also thinking creatively about how to use Perkins in conjunction with Title II funds to increase the number of educators who are able to teach computer science in both CTE and academic pathways. End-of-Pathway Assessments – States are thinking creatively about end-of-pathway assessments for CTE students and how to ensure the demonstration of technical proficiency. States like Maryland and Idaho are utilizing satisfactory scores on the AP computer science exams as a demonstration of technical proficiency. Perkins funding can be used to complement and strengthen computer science education in a variety of creative ways, such as collaborating with middle schools to increase CS career exploration courses in 7th and 8th grade, and making CTE CS courses students available to students who are not in a CTE program of study. 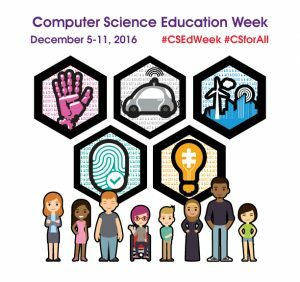 OCTAE and the U.S. Department of Education joined several federal agencies in celebrating CS Education Week, December 5-11, 2016, during which a Year of Action was announced. It continues the momentum of CSforAll following its launch in January 2016 that brought together federal, state, and local efforts to increase access to CS education. That same day in January, U.S. Chief Technology Officer, Megan Smith, provided more insight into the importance of providing CS for All in her blog. OSTP Senior Policy Advisor for Tech Inclusion, Ruthe Farmer, also provided a year-in-review recapping 2016 CS education milestones. 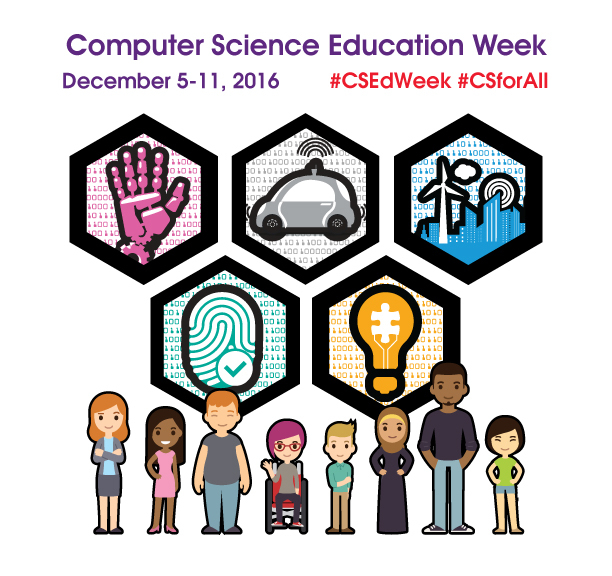 Follow #CSforAll on your favorite social media for ongoing activities.